One Less Headache: 500 Fan Teachers Pay Teachers Gift Certificate Giveaway! 500 Fan Teachers Pay Teachers Gift Certificate Giveaway! 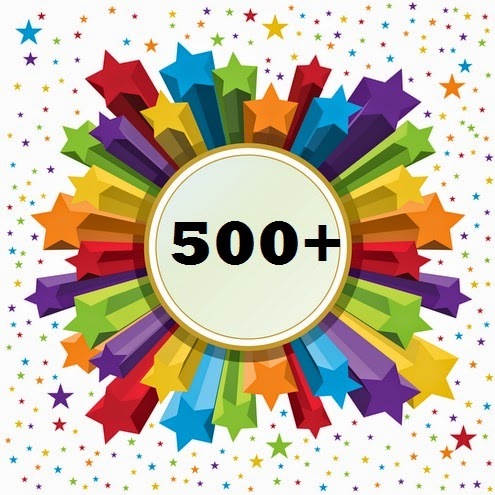 I am so excited to announce that I have reached more than 500 followers on my Lesson Lady Facebook page! In celebration of that, I'm doing a giveaway for all my fans! The giveaway will start on 3/11/15 and go through 3/18/15. You must be a fan if you want to win so if you haven't 'liked' my page yet please do so. I post fun freebies and classroom ideas there and would love for you to join in! If you are a fan just enter using the rafflecopter below! You can earn up to two entries - one entry for checking out my Facebook page and one entry for following our blog, One Less Headache. The prize is a $10 gift certificate to Teachers Pay Teachers! Good luck to all!